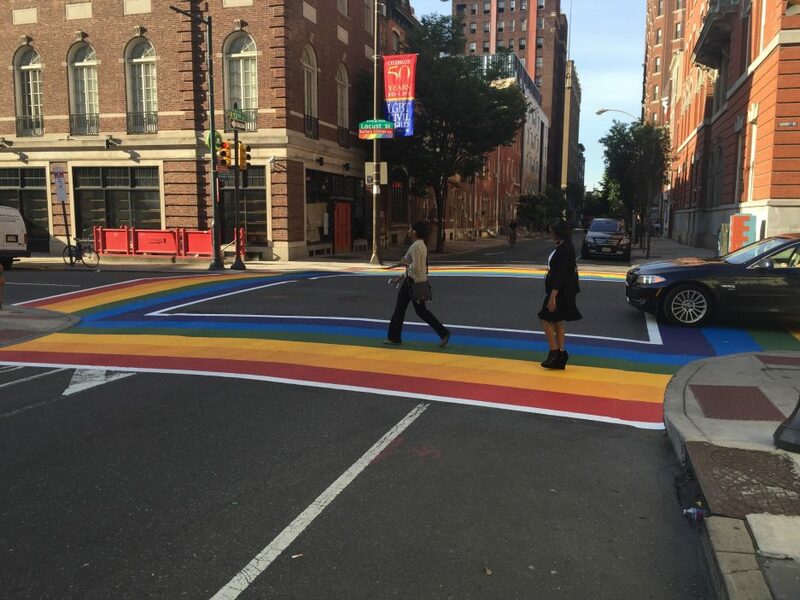 By Bryan Buttler·	 6/25/2015, 8:08 a.m.
They’re here! 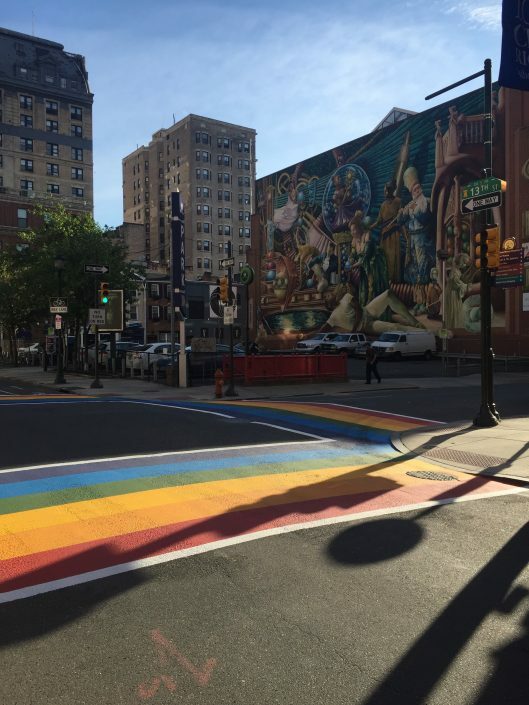 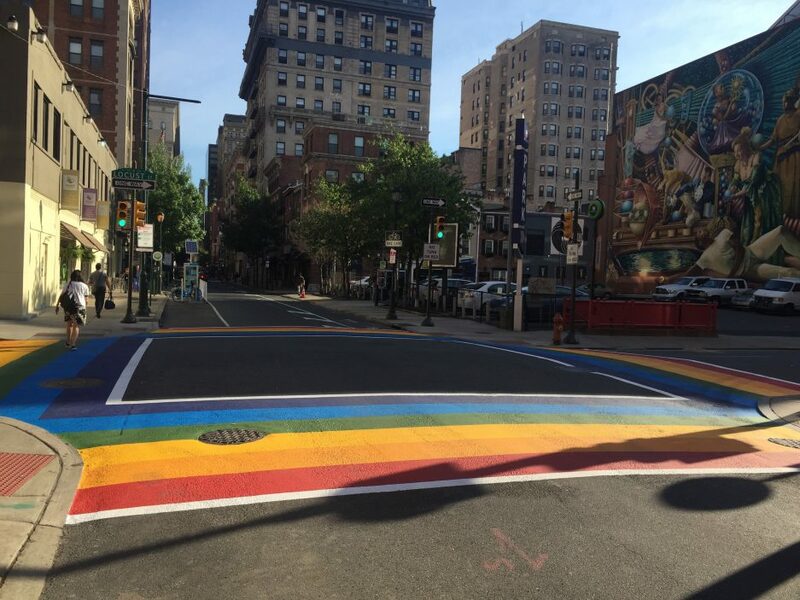 After much anticipation, the rainbow crosswalks on the corner of 13th and Locust Streets have arrived, as if by magic, overnight. 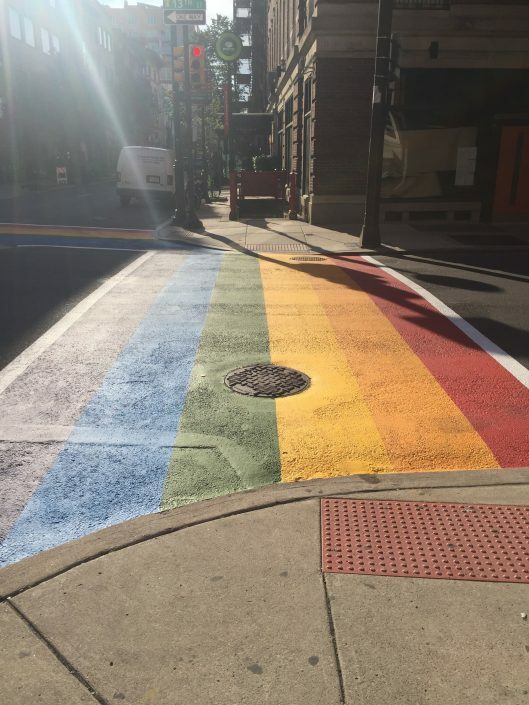 We had an idea that they would be popping up soon enough, but the rainbow roads were taking everyone by surprise: There were a good number of morning commuters stopping to take pictures, and a few tried to grab a selfie with the crosswalks in the background (I don’t know how that would work!). 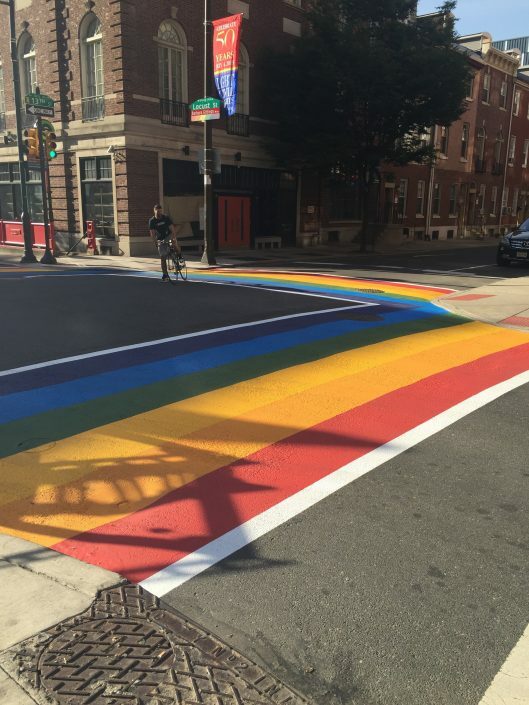 Below we captured a first look at the new addition to the Gayborhood. 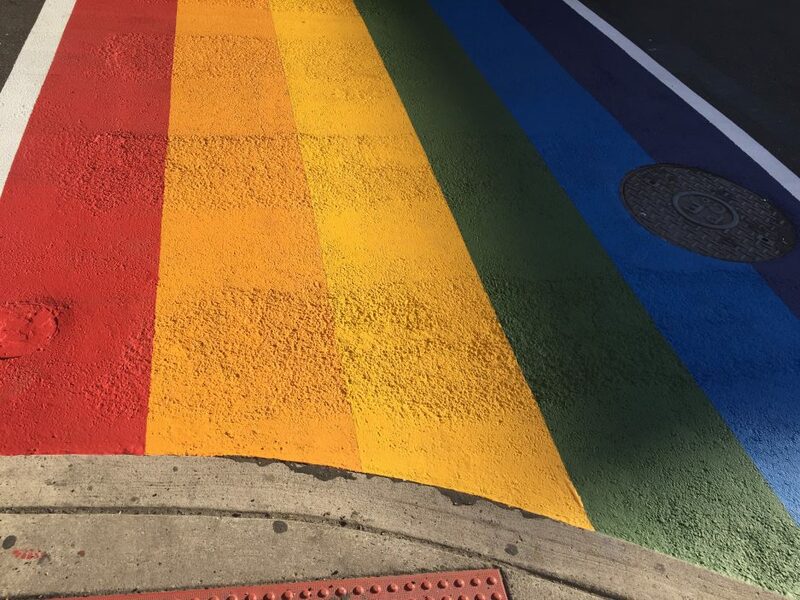 Happy walking, everyone!